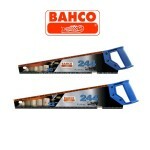 Bahco 244 20" & 22" Hard Point Handsaw Saw blade for cutting medium thick materials Universal toothing, hardpoint teeth for long lasting sharpness Screwed 1-component handle can be used for approximate 45° and 90° marking guide Available in 20" and 22" Blades ..
Newsome 7 Piece Softgrip Screwdriver Set with Magnetized Tips Chrome Vanadium Ergonomic Cushioned Softgrip Handles Magnetized Tip Slotted Handle for Storage Slotted: 3mm x 75mm - 4mm x 100mm - 5mm x 100mm - 6mm x 150mm POZI: PZ0 x 75mm - PZ1 x 100mm - PZ2 x 100mm HRC 51-54 CrV ..
Newsome 1 to 10mm 10 Piece HSS Titanium Drill Set High Strength Titanium Most Common Sizes for General Household Projects 1mm through to 10mm Index Case for Easy Storage Contents: 1m, 2mm, 3mm, 4mm, 5mm, 6mm, 7mm, 8mm, 9mm, 10mm ..
Newsome 1/2" Chrome Vanadium Extendable Ratchet Chrome Vanadium Extendable Ratchet 1/2" Drive Switchable Ratchet Durable Softgrip Handle 30cm Long Fully Retracted 45cm Long Fully Extended 6 Locking Adjustment Positions ..
Newsome 1/4" Drive Slim Chrome Vanadium Ratchet Chrome Vanadium 1/4" Drive 5" Length Switchable Ratchet ..
Newsome 13 Piece Ratchet Screwdriver and Bit Set 1 x Magnetic Reversible Screwdriver Bit Holder 25mm Bits: 3mm, 6mm, PZ 0, PZ 1, PZ3, T10, T15, T20, T25, T27, T30 Compact Storage Case Bits are Chrome Vanadium ..
Newsome 15 Piece Precision Screwdriver Set Compatible with all iPhones Suitable for Mobile Phones, PC's, Laptops and many other electrical devices. 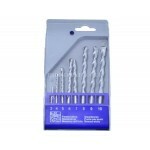 Extending Alloy Screwdriver Bit Holder Plastic Prying Tools x 2 Suction Cup Sim Card Slot Opener Chrome Vandium Screwdriver Bit..
Newsome 3 to 10mm 8 Piece Masonary Drill Set Most Common Sizes for General Household Projects Chrome Plated 3mm through to 10mm Index Case for Easy Storage Contents: 3mm, 4mm, 5mm, 6mm, 7mm, 8mm, 9mm, 10mm ..
Newsome 30 in 1 Screwdriver Set Ideal for work on PC's, Mobile Phones, Games Consoles Supplied with Compact Storage Box Bits: Torx: T4, T5, T6, T7, T8, T9, T10, T15, T20 Phillips: PH0, PH00, PH000, PH1 Hex: H1.3, H1.5, H3.0, H4.0 Slot: 1.5, 2.5, 3.0 Star: 1, 2 TA: 2, 3 Y: 3.0 ..
SupaLec Wind Up 3 LED Torch SupaLec Wind Up 3 LED Torch No batteries required Ideal for the home or camping ..
SupaTool 15 in 1 Multi Tool SupaTool 15 in 1 Multi Tool 15 features that include: needle-nose pliers, bevelled wire cutters, toothed pipe grippers, coarse file, standard ruler, posi head driver, can opener, crate opener,clip point knife, short blade, cap lifter, saw, reamer, punch and ..
SupaTool 20pc Combination Hex Key Set 20pc Combination Hex Key Set Set contains heat treated carbon steel AF and Metric keys Includes 10 black finished keys. 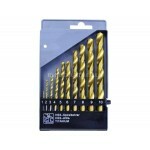 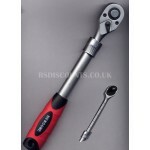 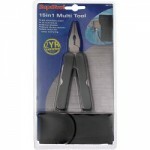 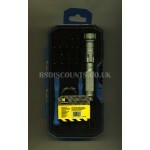 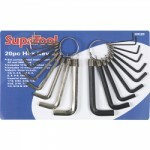 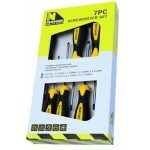 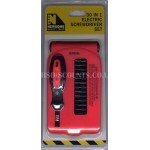 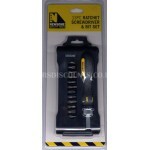 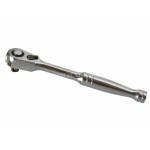 includes 10 nickel plated keys Metric sizes include: 1/16, 5/64, 1/8, 5/32, 3/16, 7/32, 1/4, 5/16 & 3/8 2 year guarant..